Over half of Germans stand behind the police’s decision to check some 2,000 North African and Arab men on New Year’s Eve in Cologne based solely on their appearance while a staggering 69 percent believe racial profiling is a must in police work, a new poll reveals. 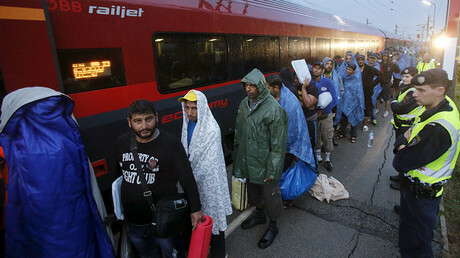 The YouGov poll was published on Thursday as a debate flared up between different sections of the German public on whether and to what extent the conduct of Cologne police towards perceived migrants from North African countries can be justified. 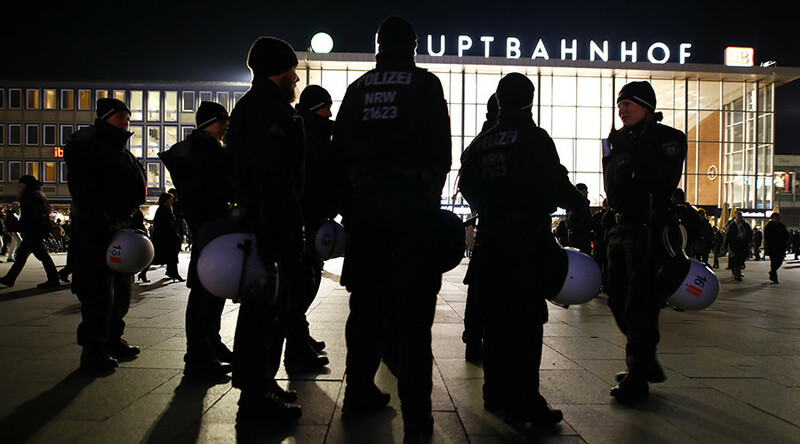 Overall, some 52 percent of Germans told the pollsters they approve of the way the police handled the situation at Cologne’s main railway station. The mass police effort, involving over 3,000 officers, was aimed at to prevent by all means the rerun of the chaos into which the last year celebrations descended after hundreds of men of North African and Arab appearance allegedly robbed and assaulted local women, as reported by the victims. Only 8 percent of respondents sided with the viewpoint that “some of the measures by police were so problematic that I assess police operation generally critical.” Critics consider the move to bear signs of racial discrimination. The poll has also revealed the sharp difference of opinion between different generations of Germans, notably between those from 18 to 29 years and those aged 60 and older. The young people appear to have considerably lower tolerance to racial profiling, with only thirty-eight percent of them holding a favorable view of the operation against 63 percent among the 60-plus group. The Cologne police’s choice to use the acronym “Nafris” while referring to the North African men on its official Twitter account while providing updates on the operation drew particular ire from critics of the raids, as it is considered to be a pejorative term for the group by some people. — Prof Jonathan Moyo (@ProfJNMoyo) 2 января 2017 г.
Cologne police did a good job on New Years Eve policing North Africans & assuring the safety of women! Whoops: Is this a racist statement? As the scandal was gaining momentum, Cologne Police Chief Jürgen Mathies was quick to dismiss the allegations that his staff intended to throw a racial slur at the migrants. He claimed that although the police had better not include the word in its report on social media, the word “Nafris” has long become a part of the police jargon and is not racially charged. Defending the conduct of the officers, he argued that “for the vast majority, there was a clear threat of criminal activity present,” among those who underwent checks as cited by Deutsche Welle. The first release by a special investigation commission chaired by Mathies said that of all the people screened in Cologne some 674 individuals had their IDs checked in total, while 425 had their nationalities checked. It emerged that despite police announcing that they were going to screen “Nafris,” most of the migrants who had their IDs checked and nationality determined turned out to be Arabs, with 99 people hailing from Iraq, 94 from Syria and further 48 from Afghanistan, Mathies revealed in an interim police report on Friday, Deutsche Welle report. Among the North Africans were 17 Moroccans and 13 Algerians. Apart from foreign nationals, the police had also screened 46 Germans. The police chief reported that only three crimes of sexual nature were reported on the New Year’s Eve in Cologne at the area guarded by police, where the mass checks had taken place. According to preliminary information, none of the persons screened took part in the last year’s assaults. Asked about their general perception of racial profiling as a police practice when officers screen people without any previous suspicion but based on their “common feature” such as “being a member of an ethnic group” or “skin color,” even more Germans said they do not oppose to the practice. A 63 percent total admitted that do not consider racial profiling to be “problematic in general”, while only twenty-seven percent disputed its use by the police. The question has seemingly split the German society, highlighting a widening generation gap. Over 60 percent of respondents in each of four age groups, ranging from 30 to 60+ years old did not see any problem in racial profiling for the sake of police control, while among the young people aged 18 to 29 only forty-six percent shared the same opinion. The YouGov researchers also drew parallels between the generally lenient attitude to the racial profiling in Germany and fierce opposition to the controversial practice in the US. Sixty percent of Americans consider the racial profiling to be a problem as opposed to 27 percent in Germany. Only 23 percent of the US citizens regard as it as being “necessary” for “effective police work,” while in Germany an overwhelming 69 percent rally behind its use by police. “Opponents of racial profiling in Germany obviously still have much to do,” the researchers note. 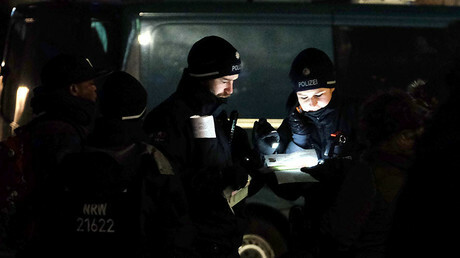 Commenting on the poll, RT’s Berlin correspondent Charlotte Dubenskij pointed out that the support for heightened police measures comes as sporadic waves of sexual assaults continue to grip Europe despite the ramped-up security measures. In one of the most recent controversial cases, a number of sexual assaults allegedly committed by men of North African and Asian descent were reported on the New Year Eve’s in the Austrian city of Innsbruck. The spate of attacks prompted Austrian politicians to mull a change in refugee legislation, calling for asylum applications be fist approved before the refugees can cross into the European union. “And that is in a stark contrast with the policy here in Germany, Chancellor Angela Merkel’s policy of open doors,” Dubenskij said, adding that it “remains to be seen” how the German government’s policy will be seen in light of the poll results. “This is very sad, but, to be honest, it’s nothing new in Germany, because this profiling anyhow is part of life in Germany. If you look [at] Turkish or Arabic [people living in Germany], it’s very difficult [for them] to get a job or [to rent] a flat,” Aru said, adding that the police find themselves “in a very difficult situation” at the moment. Aru added that Germany’s attempts at handling the crisis are long overdue, too, and the government missed the chance to address the looming migration catastrophe at its onset. “This is what happens when you ignore things that are happening in the world, and when you start reacting, it is too late, especially if you know that your people have big problems with other cultures,” Aru noted, adding that Germany “should have started much earlier” to be able to effectively cope now.